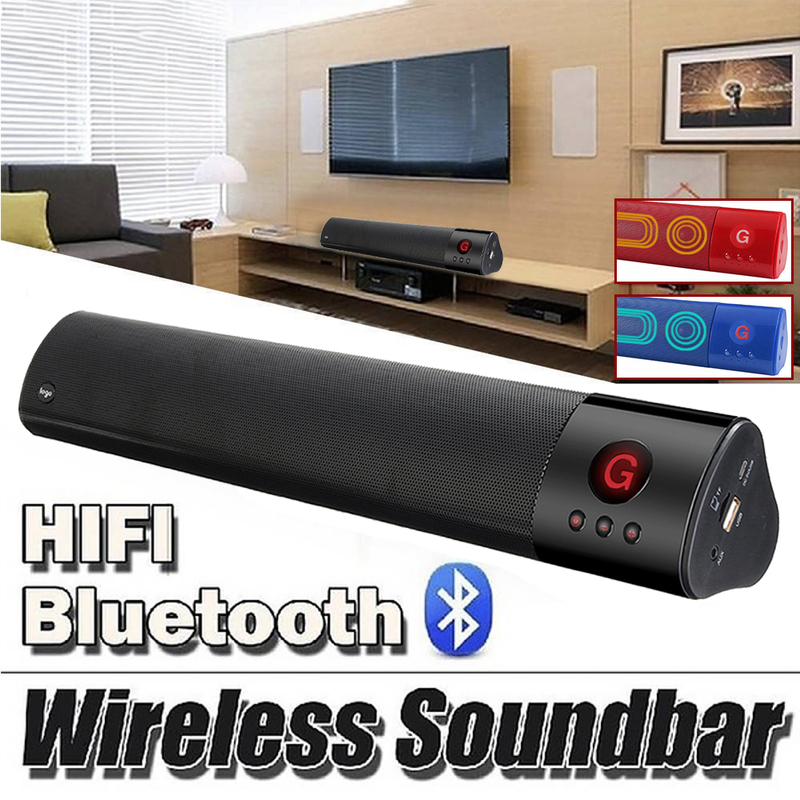 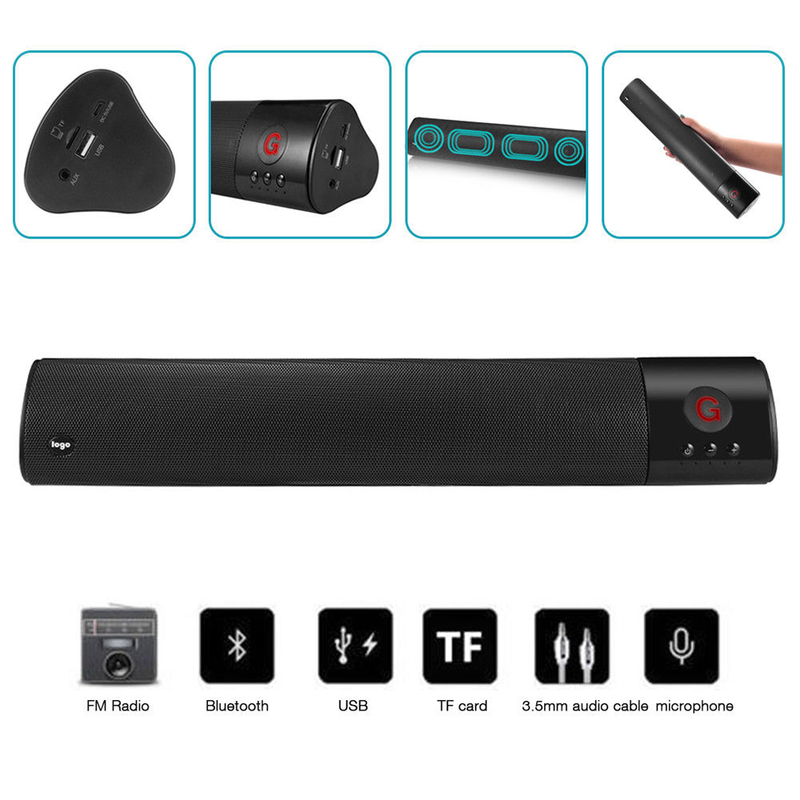 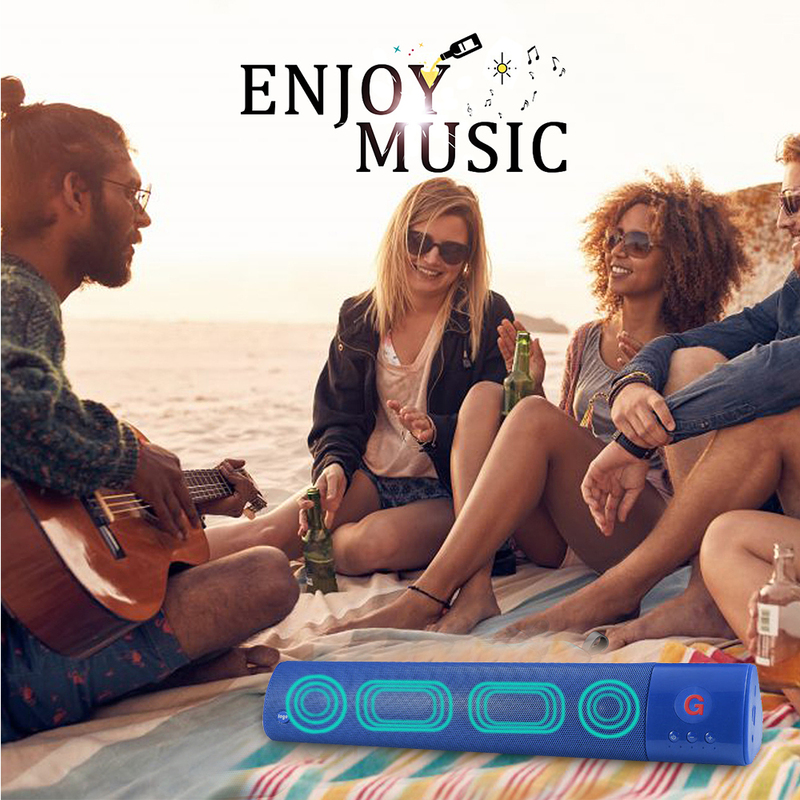 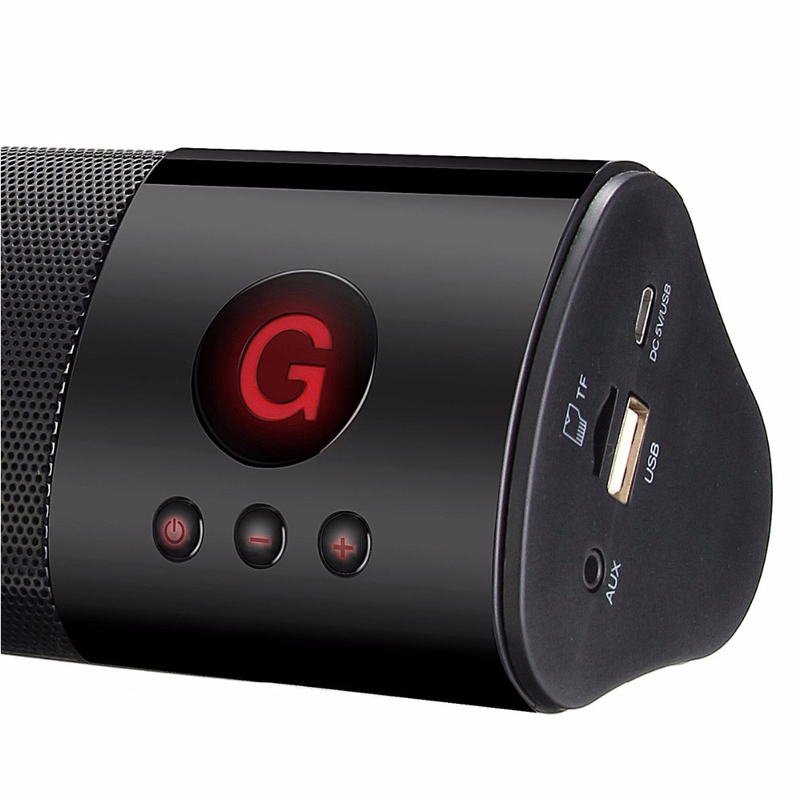 Portable Powerful Bass Bluetooth Soundbar Speaker w/ MIC. 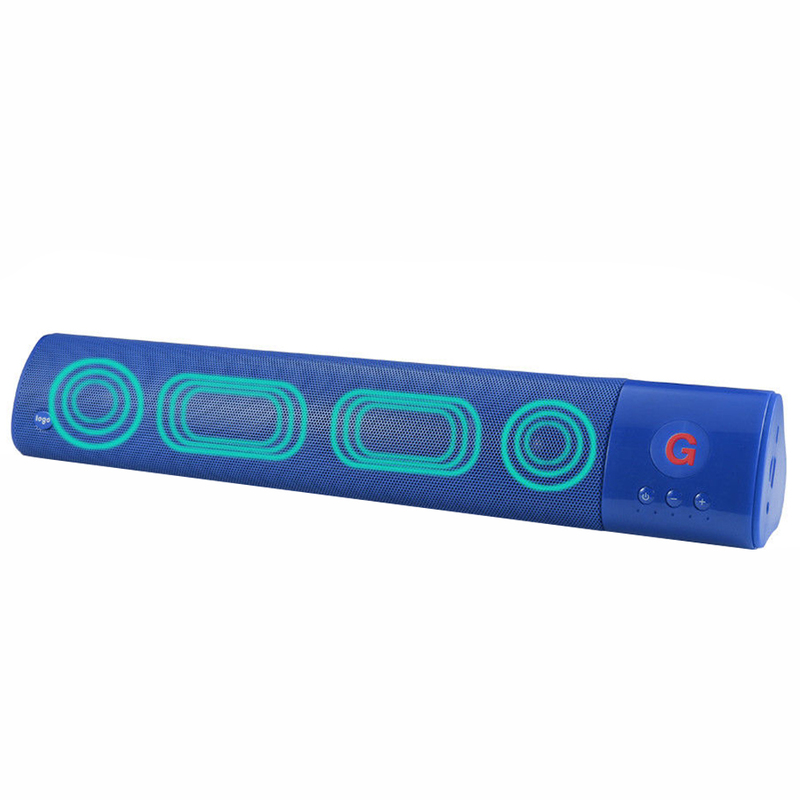 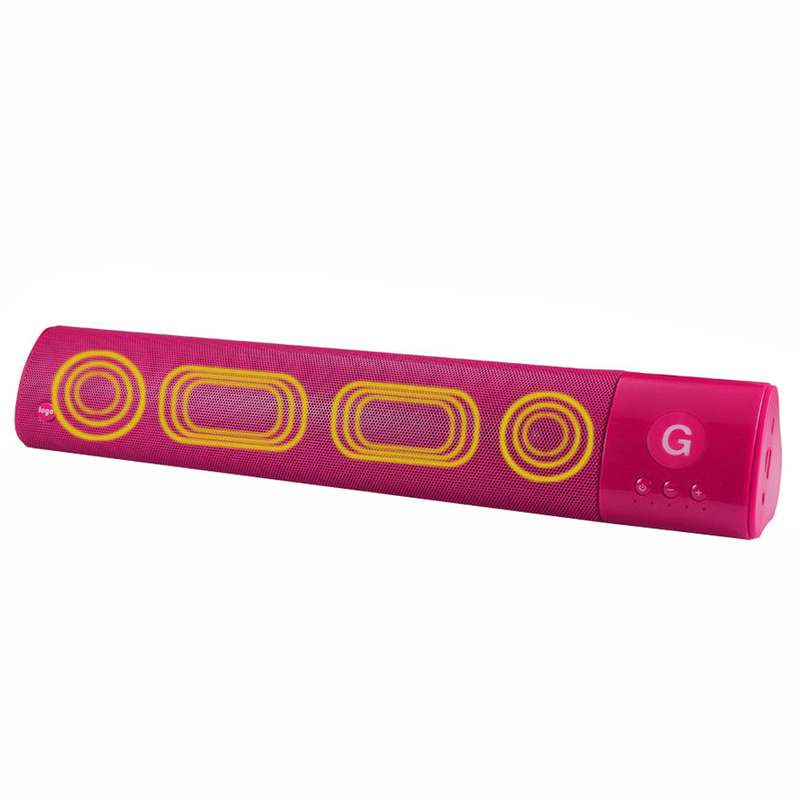 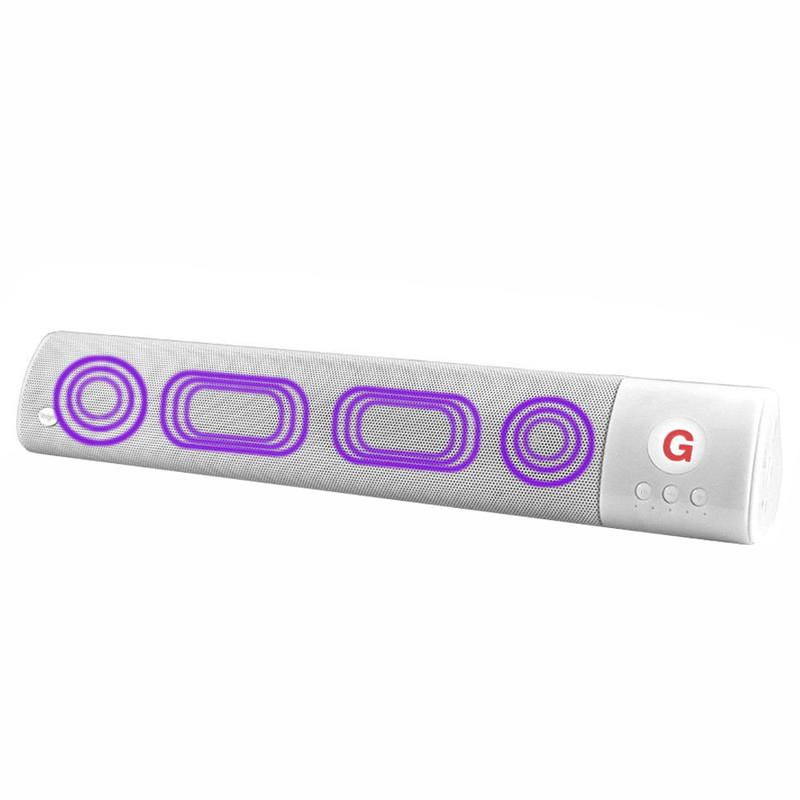 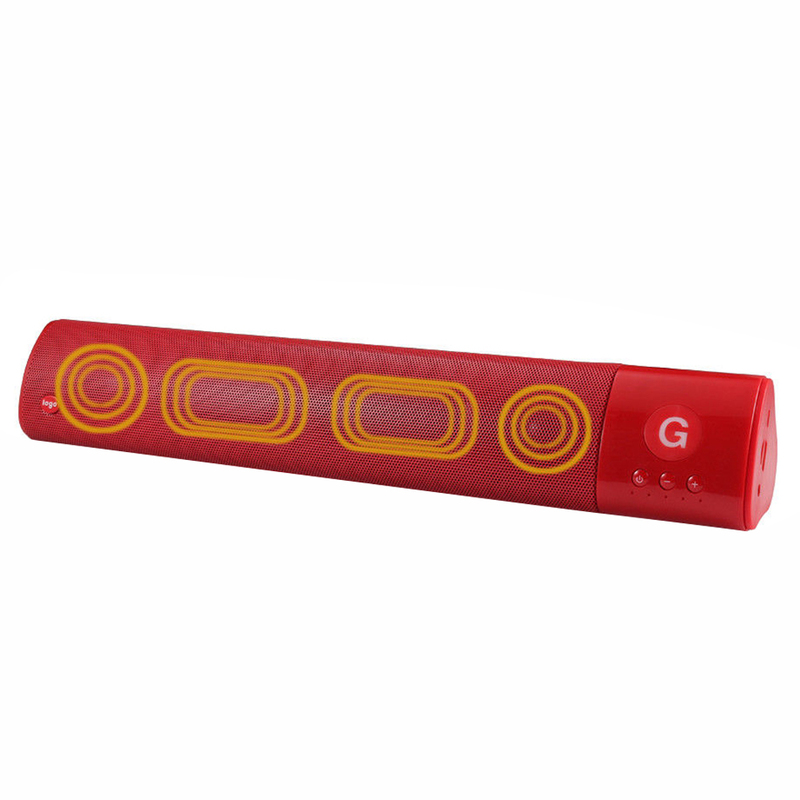 Built-in 1200mAh Lithium Battery, support up to 3-5 hours of music playing time. 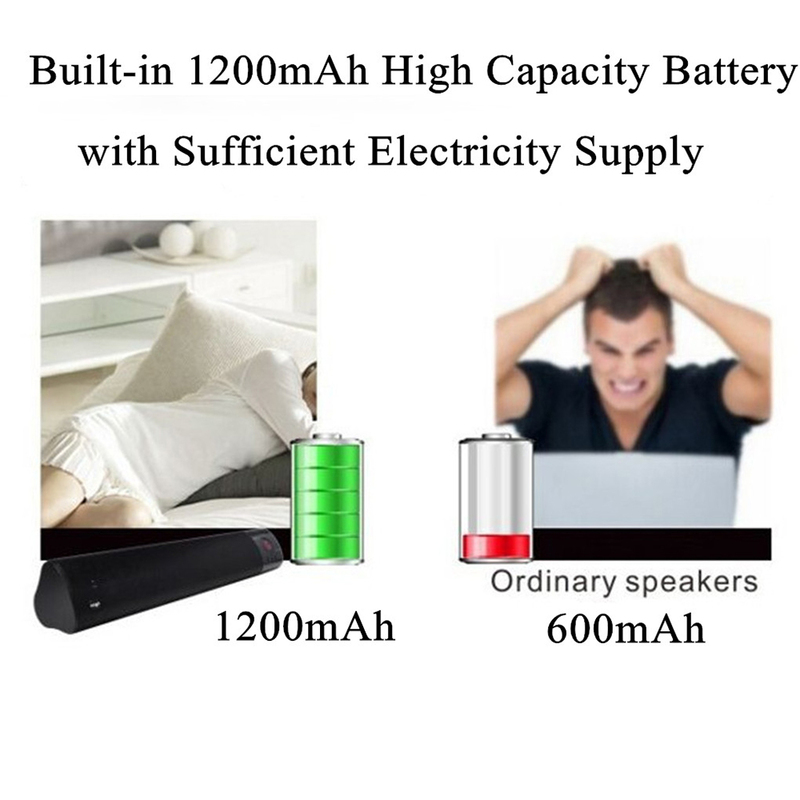 USB Output 5V-3A can effectively charge your smartphones, tablet PCs, etc. 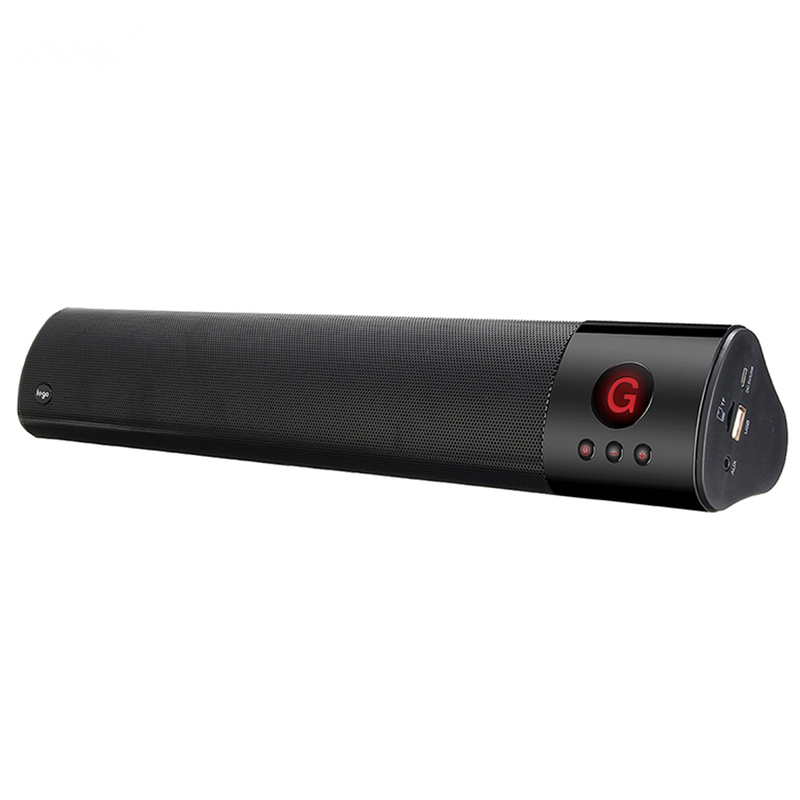 Noise and wind suppressed by DSP technology to create full duplex sound quality. 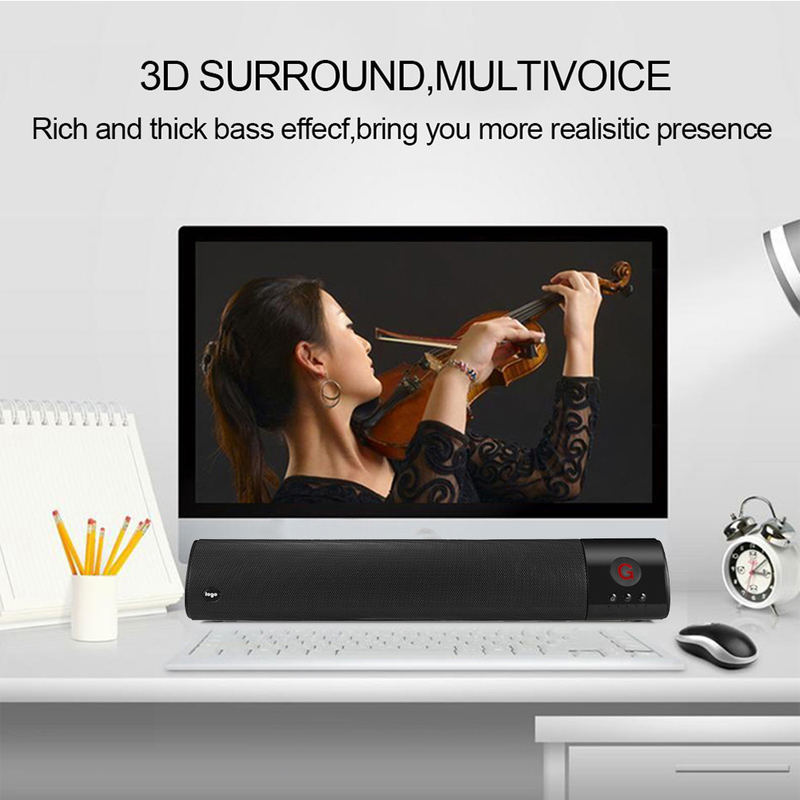 Powered by Dual Channel 3W*2 drivers, you can enjoy music with HIFI stereo sound quality. 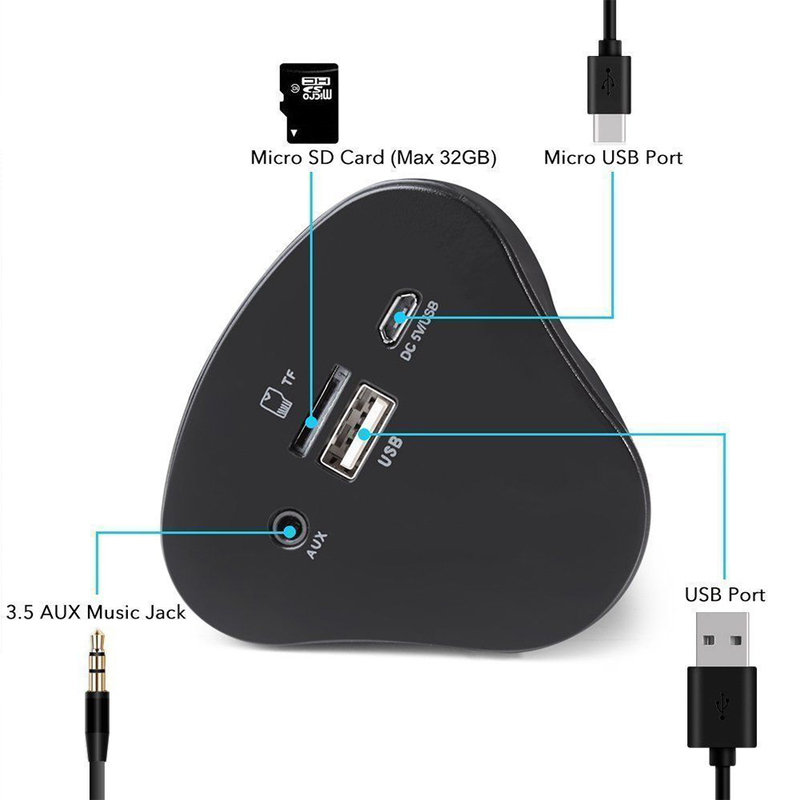 Support an external TF Card / U Disk (Max up to 32G). 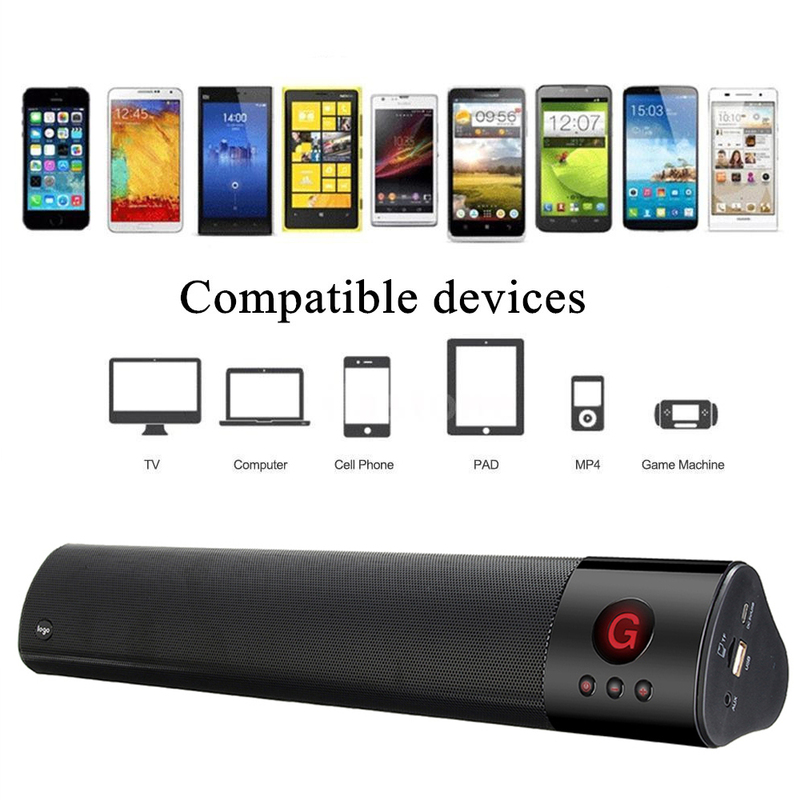 Compatible with all Bluetooth devices such as smartphones, tablet PCs, iPhone, iPad, etc. 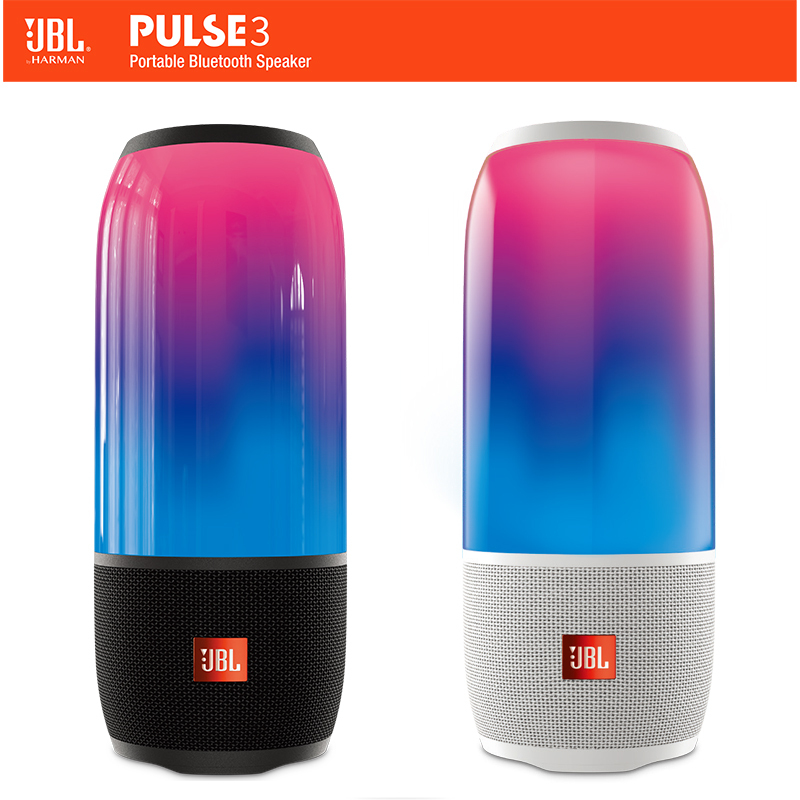 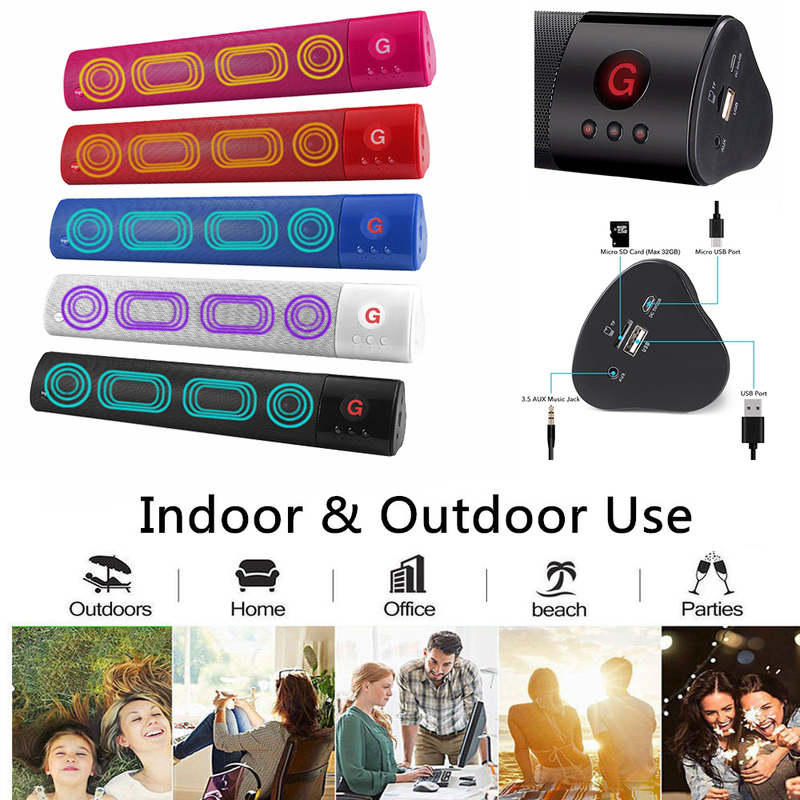 Suitable for Indoor Use like Home Theater, TV, PC, Phones, Parties, Dorm, Kitchen, Bathroom and Outdoor Use like Riding, Driving, Hiking or Picnic, etc.